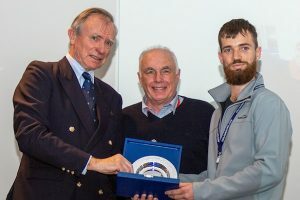 Each year, Tall Ships Australia and New Zealand facilitates six individual bursaries, funded by Sail Training International, to members to support their attendance at the International Sail Training and Tall Ships Conference. In 2018 a delegates from Australia and New Zealand included volunteer crew, voyage alumni and executive staff, who travelled to Seville, Spain, to attend and present at the 2018 Conference. Hear from some of the delegates – why they attended, what benefit they gained, and why you should attend in 2018!! A ttending the International Sail Training and Tall Ships Conference of 2018, held in Seville, meant for me a lot of personal firsts. My first time travelling solo, first time visiting Spain, my first conference and my first exposure to the tall ship community outside of Australia. This is to say when I arrived in Seville, I had no idea what to expect and the little I had heard suggested a Eurocentric conference with a heavy focus on tall ship races. Fortunately, I found this not to be the case. Increase my understanding of how to work with and maintain a volunteer base. Working to achieve these goals I attended presentations on “Tools and techniques to improve facilitation methods on board”, “Protecting trainees” and “Managing volunteers” just to name a few. Many of the sessions I attended were eye-opening and thought-provoking. I was able to take away quite a few ideas from the conference, many I have since been able to put into practice back at the Leeuwin as a Watch Leader and more which look forward to exploring in the future. During the breaks, I also took the opportunity to network with representatives from various tall ships, sail training organisations and host ports from around the world including America, Japan, Sweden and Germany. I have kept in touch with quite a few of the people I met, many I now consider friends and look forward to working with in the future. During my time in Seville I learned about the Sail Training International Youth council which aims to represent the views, opinions and needs of every young person who participates in sail training. I found myself inspired and in awe of the representatives and very excited to follow many of the upcoming projects they are working on, especially the development of methods to enable the sharing of knowledge amongst young sail trainers. 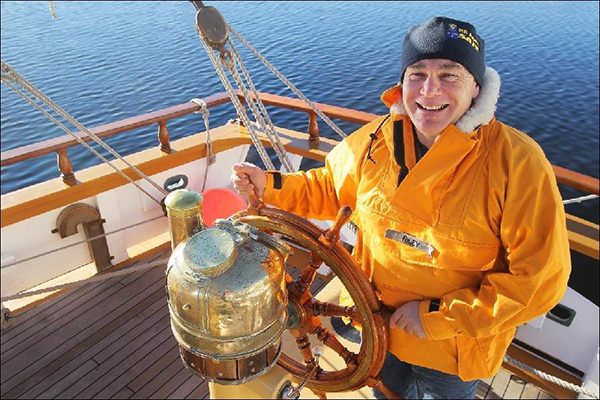 One of the most surprising and unexpected aspects of attending the conference was having the opportunity to represent the Leeuwin Ocean Adventure Foundation at the conference plenary when Peter Graham was recognised for his achievements on board Leeuwin II. It was particularly meaningful accepting the award on behalf of Peter who was a Watch Leader on my first voyage and who I have had the privilege of working alongside many times since. The conference host city of Seville or Sevilla was spectacular and an obvious choice as it did not take much digging to find a rich nautical history. The Real Alcázar de Sevilla only a little walk away from the conference displayed tapestries dating back to Christopher Columbus’s voyages of discovery. I spend a few evenings after the days’ sessions walking through the old town which was surreal, with narrow and maze-like cobbled streets. On my last night in Sevilla, I was out to the early morning eating tapas. I would like to thank Tall Ships Australia and New Zealand for making it possible to attend the International Sail Training and Tall Ships Conference of 2018. It has been an absolute privilege and I look forward to pursuing many of the opportunities the conference has provided for me. Sail training and tall ships races are a big business in Europe. The 2018 races and regattas included 6,000 sail trainees from 60 countries, with half of those trainees under the age of 26. Eighty-three vessels from 22 countries participated. Overall, the events drew an estimated 3.9 million visitors to the hosting cities. James Craig has a world leading safety aloft system. We on the James Craig could do a lot more in the sail training area than we currently do, and with better structure and organisation. Although the community is small here, it seems there is a lot of untapped potential for events, sail training places, and community engagement. The conference was a wonderful opportunity to meet the international community and learn a great deal about tall ships and sail training. Perhaps as valuable as the talks was the opportunities to meet and discuss other issues in the coﬀee breaks. I would strongly encourage anyone who is able to attend. I would like to acknowledge and thank Tall Ships Australia and New Zealand for supporting my attendance at this conference. I was fortunate to receive a bursary to attend the 2018 International Sail Training and Tall Ships conference on behalf of the Enterprize Tall Ship Trust. 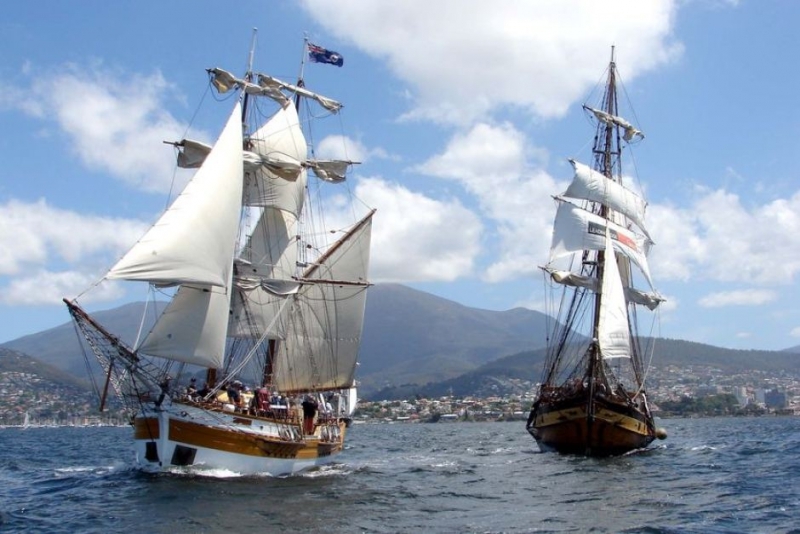 This report is a summary of the key learnings I identiﬁed from the sessions I attended with a speciﬁc emphasis on how the insights could possibly beneﬁt the ongoing operation of Enterprize, Melbourne’s Tall Ship. I chose sessions I felt were most relevant to Enterprize – many sessions related to the Northern Hemisphere Tall Ship races and the associated festivals run in participating ports which are not directly relevant to our little ship based in Melbourne which usually does not go further aﬁeld than Hobart. I would like to thank Tall Ships Australia and the Enterprize Trust for supporting my application to attend the 2018 Sail Training and Tall Ships Conference. There were a lot of interesting and thought provoking sessions. I hope this report provides some insight into the material covered and how the ongoing operations of Enterprize could beneﬁt from implementing some of the ideas. As a youth representative for The Lady Nelson and Young Endeavour, I was honoured to be chosen this year to attend the international Sail Training and Tall Ships conference in Seville, Spain. We were lucky to have a large number of representatives from Australia this year, with a large portion from Tasmania, reflecting the states growing and ongoing commitment to sail training and tall ship management. I thoroughly enjoyed sharing ideas with my fellow Australians and crew from neighbouring ships in Tasmania, as it felt like a little slice of home on the other side of the world. A better overall appreciation for the wider global sailing community and some of the fabulous events held annually across Europe and the world to celebrate this dynamic and ever growing community. Download the full report with conference photos here. I would sincerely like to thank Tall Ships Australia and New Zealand for the opportunity to attend the conference, it has been an invaluable experience and I look forward to sharing my new learning more within the Australian sailing community in the future. Presentation slides from the 2018 Conference presentation slides are available here.